Melissa Zamora (left) receives coffee grounds from starbucks baristas Juan Zapeda and Dylon Garrett. 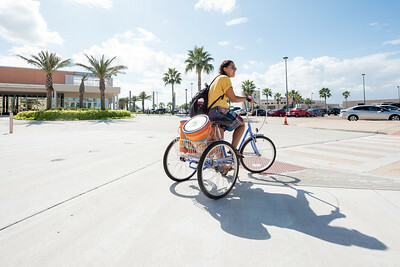 Melissa Zamora with Islander Green, places used coffee grounds from Starbucks into her tricycle. 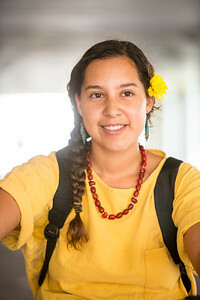 Melissa Zamora with Islander Green. 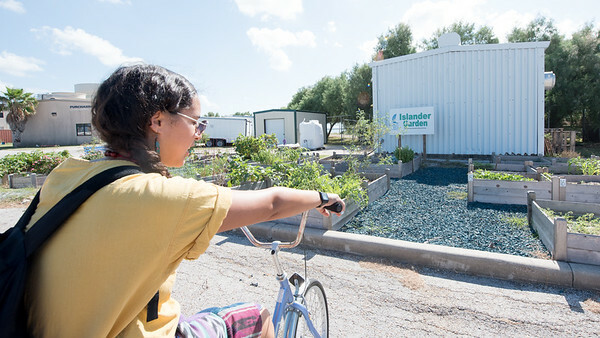 Melissa Zamora with Islander Green, makes her way to the Islander Garden. 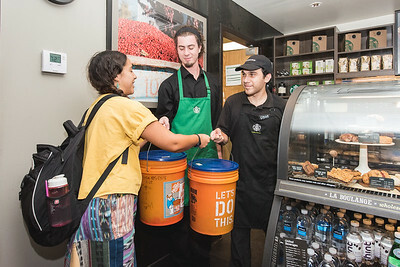 Melissa Zamora hauls two loads of coffee grounds given to her from the starbucks cafe. 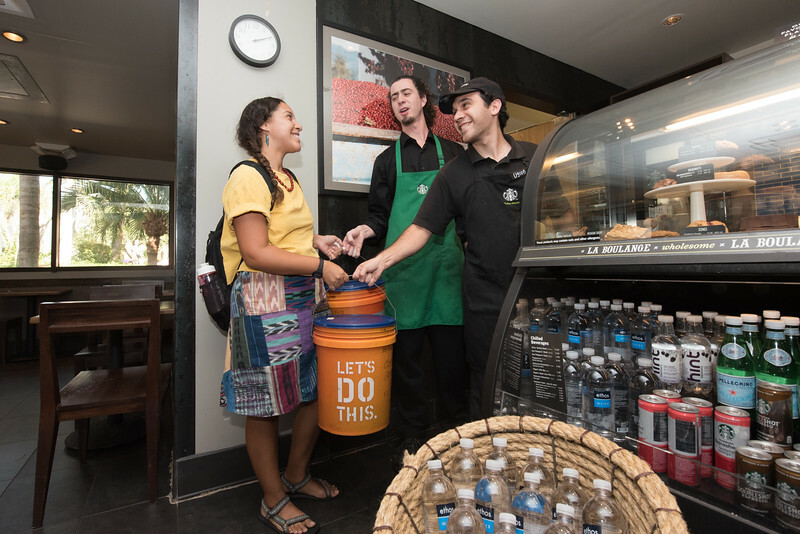 She will use the coffee grounds to create compost for the Islander Garden. 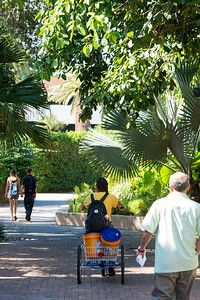 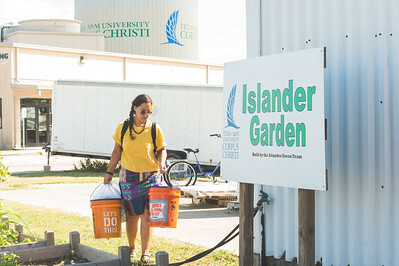 Melissa Zamora arrives at the Islander Garden. 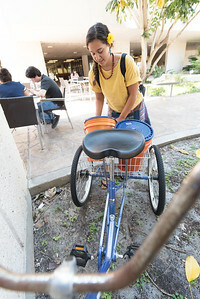 Melissa Zamora unloads the two loads of coffee grounds donated by the starbucks on campus. 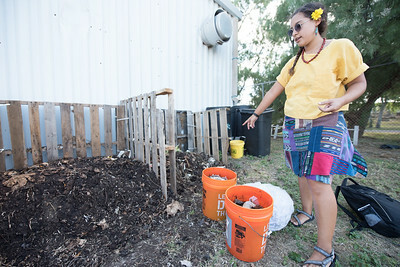 Melissa Zamora explains the differences between mature and nitrogen rich compost at the islander garden. 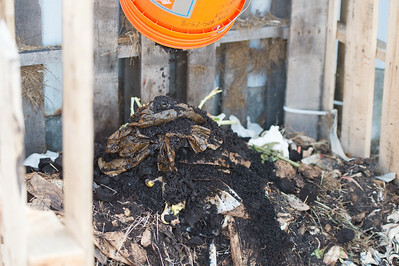 Melissa Zamora dumps the coffee grounds into the compost area of the islander garden. 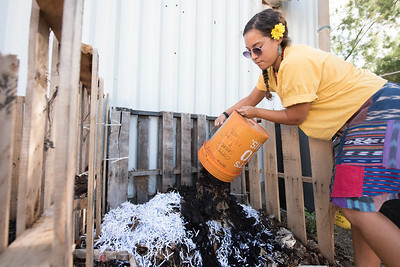 Melissa Zamora dumps the coffee grounds donated from starbucks over shredded paper received from the HRI building. 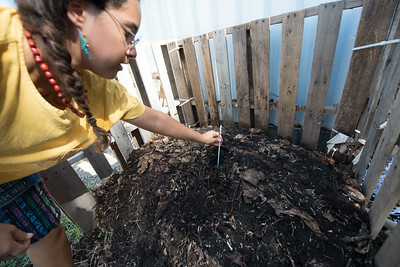 Melissa Zamora with islander green, places a thermometer into the compost to display the heat radiating at the center. 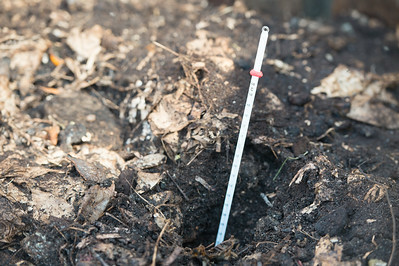 A thermometer is placed at the center of the compost to take a measurement of the heat produced.